I’m sure you have heard about the phrase “empty your cup” before. How does one learn something new if there are already preconceived notions or pre-programmed rigid beliefs? What about doing this with every lesson? The benefits are being able to fully submerse yourself into the material you are learning at that moment, being attentive, and studying it much more intensely. The downside is not building upon the knowledge you already have. Humour me. I am going to touch on a few soft spots. I have always found it fascinating how each student, when presented with the same information, seems to interpret information differently and then practice differently. Each student, myself included. 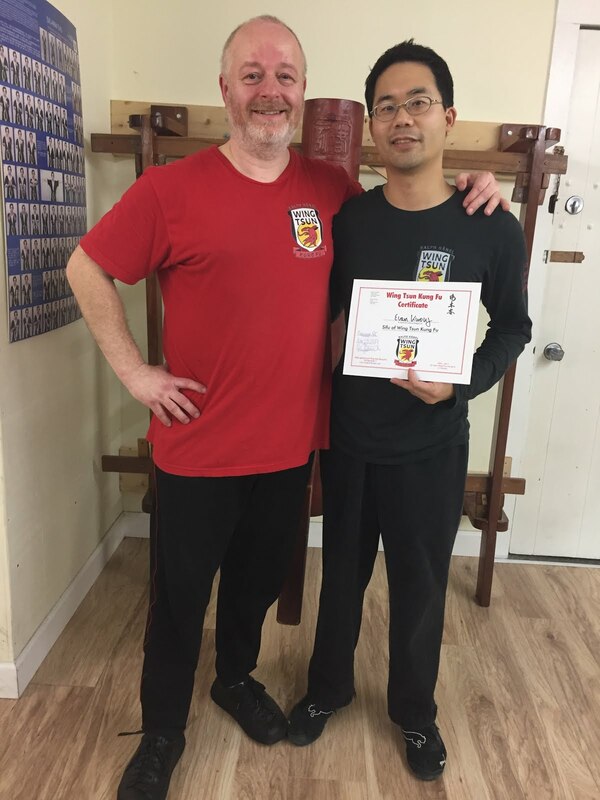 The impulse from this blog post was after the review of the Wing Tsun Long Pole form by Si-Fu Ralph Haenel of Wing Tsun Kung Fu Vancouver on March 1st. During the training, I found that everyone, including myself, had different issues. But of course, that is expected. Or, is it? I think doing certain important fundamentals incorrectly shouldn’t be expected, at least not as often as before. Especially if these fundamentals span across our other WT training. And especially if Si-Fu Ralph reiterates these points countless times. What were some of the points for the long pole form? What did we see and what did we do? - Elbows were straight when they were to be bent, or vice versa. - Poles pointing up, poles curving down, etc. There are likely also numerous examples from other classes or seminars. 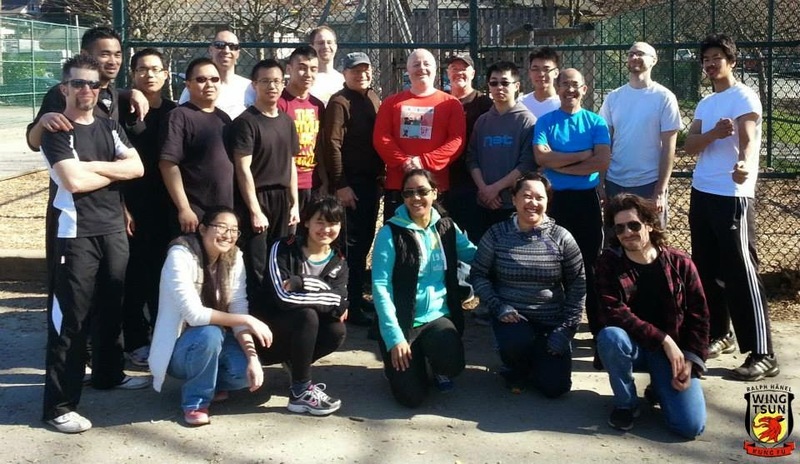 In fact, during the bonus open-air class held on March 7th, Si-Fu Ralph specifically mentioned this phenomenon of how students train differently than what was shown to them only seconds ago. What a coincidence, and good timing for this blog post! DISCLAIMER: I am criticizing all of us, including myself. Yes I realize that we are all still learning as students. But yet, why does this phenomenon happen? Do basketball players, when presented with a basic layup drill, start doing fancy dunks or pump-fakes before the layup? Do hockey players, when presented with a stick-handling drill around cones, start stick-handling around the rink and even start shooting at the empty net? Do boxers and their partners, when asked to do some pad-work, start sparring and fighting instead? Do Wing Tsun students, when presented with a fak-sao drill with a cooperative partner, start putting in punches, and arm/body controls, or does the partner start resisting and creating other new scenarios different than the intended drill? What is the main reason why, despite the tutelage of Sifu Ralph and our own training, that we still do things incorrectly immediately after being shown what is expected of us? I think this is what is happening with me. Is it happening to you? 1. I am not emptying my cup, with EVERY class or session. 2. I am not truly listening and watching intently... every detail. 3. I don't check myself often enough with the mirror, or with video. 4. I don't practice enough, and perhaps not correctly. Many of us have been doing Wing Tsun or martial arts for many years or even decades. We have grown accustomed to certain patterns of movement. This can be for the better, or for the worse. Do you ever catch yourself saying or thinking “Oh, the pak-sao drill again, I’ve done this before.” Instead of doing the drill as taught that particular moment that day in class, you start doing the drill with the same body movements as before, with the same (un)-enthusiasm as before, because you have “mastered” it now. Here is a challenge. Next class, when presented with a drill, transform yourself into a person who has not done any Wing Tsun before. Now, do the drill as described, as if you have never done it before. When was the last time you saw amazing scenery, and right away pulled out your camera and took a snapshot, then walked away? Did you stare at it, study it, just try and remember it? I am as guilty as everyone else, wanting to film all the details. Now, I have often resorted to putting a camera aside to record on its own, so that I can focus on the situation. When I use the camera to tape something, be it Wing Tsun or not, I find myself not truly concentrating on what is happening, but making sure that it is captured. While taping it has its merits, of reviewing the footage afterwards, ask yourself this: Have you reviewed every video that you have taken? Are you reviewing snippets and fast-forwarding to the “techniques”, or do you watch it from start to finish and try and listen to the theme of the class/session? Here is the next challenge: If you have taped a class/seminar, watch it once on your own from start to end. Watch it (or just listen to the audio) a second time while writing notes. Watch it a third time with someone, and do the drills together. Here is a different challenge: Don’t tape the class/seminar/private lesson, and now concentrate. Immediately or after the session, take copious notes including pictures. Hey, if athletes do this, why shouldn’t we? Yeah, yeah, sure, sure. I know we should keep the shoulders down. I know that I do. But wait, why is it that when I see the video footage, that my right shoulder is hiked? I can see compensatory movements. Am I doing this right away? Or am I doing this after I fatigue? Why didn’t I notice that before? I remember watching some video feedback of myself, and in my mind I was moving my whole body during one of these drills, when in actual fact the video said otherwise – my upper body was moving mostly, while my lower body was like a rock. Trust me, this visual feedback will be helpful. Finally, the fourth point about practicing correctly. At least what I am working on. 4. Don’t be afraid to take breaks! The form, like all the other empty-hand forms and chi-sau forms, is like a dictionary. Sure, it is good to know the details of the sequence. Sure, it is good to practice the whole form from beginning to end for flow, etc. But we need to be able to do each of the movements well to begin with! Just like we do with our SNT (every day! ), pick one section and just do that one. Don’t get distracted and try to do the others. If you must, pick 3 movements like you are doing 3 different exercises. Many of us purchased the black plastic bart cham daos, which I think are very useful to train with. What actually makes it good is that they are light but still balanced, and it allows us to train the exercises and form slowly without straining ourselves. The same method can be applied to the long pole training. Try and train slowly with a lighter pole or empty-handed. Get the body motions down, the stance, correct, the movement patterns in place, then try it with the heavier long pole. Then do it at a normal pace, later add speed and strength. Don’t forget to take breaks. Once our bodies are tired, it starts to do crazy things and then we get into trouble with our movements, or worse get injured. Drills are meant to be well, drills. Sparring and fighting are important to train, but not during drills.